"Rest in heavenly peace bro." 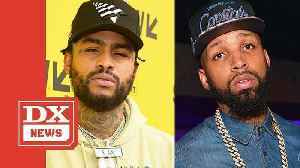 Dave East woke up to some terrible news involving his longtime friend Cliff Dixon. According to TMZ, Dixon — Love & Hip Hop star Erica Mena’s ex and close friend of Kevin Durant — was shot and..